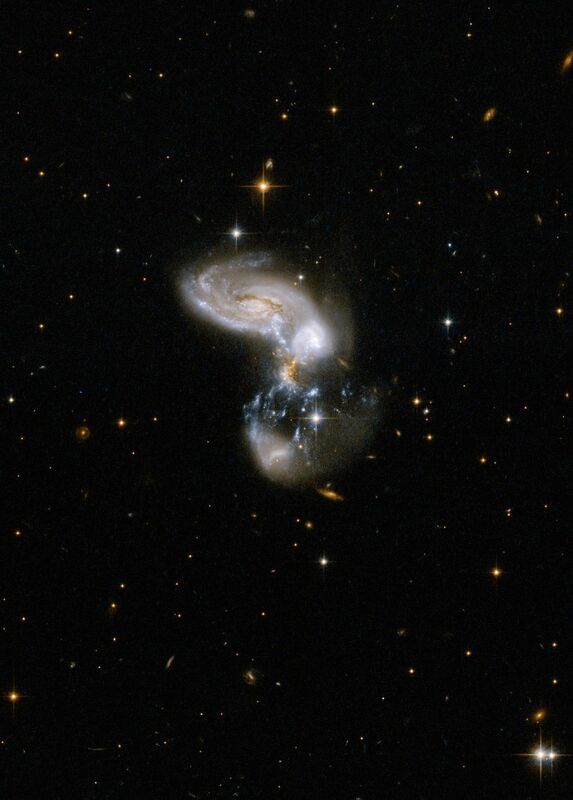 This is a system of merging galaxies with a bizarre shape. Powerful young starburst regions hang as long threadlike structures between the main galaxy cores. The system almost qualifies as an ultra-luminous system, but has not yet reached the late stage of coalescence that is the norm for most ultra-luminous systems. II Zw 96 is located in the constellation of Delphinus, the Dolphin, about 500 million light-years away from Earth.